Parking permits are required on campus Monday - Friday from 7:00 a.m. - 7:00 p.m. 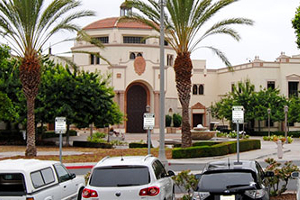 Guests to campus must pay to park in either the Mission Parking Structure (subject to space availability) or the West Parking Structure, West Parking Lot and Gravel Parking Lot. When visiting USD, please plan ahead and allow yourself ample time to park your vehicle, pay at a pay station. Jenny Craig Pavilion – West lot; And the parking lot adjacent to the Softball/Manchester Field. Using the Parkmobile App, you can pay for your daily parking (and avoid any lines at a pay station), receive text alerts when your paid parking time is about to expire, extend your paid parking time remotely, and see an electronic history of your parking transactions. Please note that a small convenience fee will be added to each transaction. Free tram service is available from the West Parking Structure up to main campus. The tram runs every 5 to 10 minutes. Tram On-Campus Service Hours 7 a.m. to 11:00 p.m. Monday through Friday during fall and spring semesters (summer and intersession hours may vary). For more information please go to https://usdtram.com. * For assistance, please contact PCE Student Services at 619-260-4585. 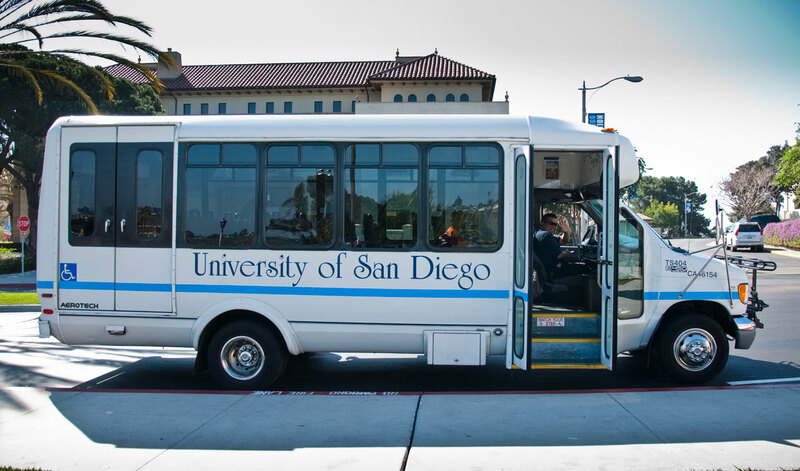 **Please refer to this LINK for official USD Parking Rules and Regulations.